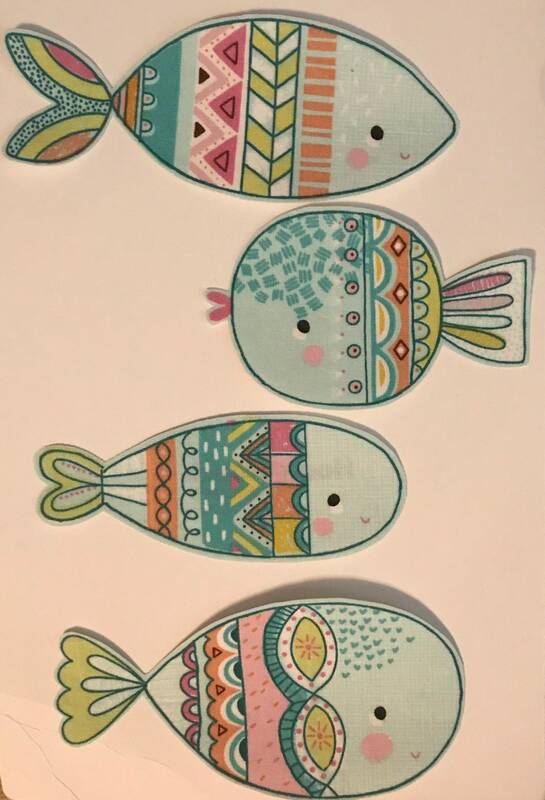 Includes 8 cute fish made from quality cotton fabric, with an iron on backing. Assorted artsy designs as shown. 1 fish, 2 fish, 3 fish, blue fish! ...the possibilities are endless! Appliques measure approx. from 3" to 5"